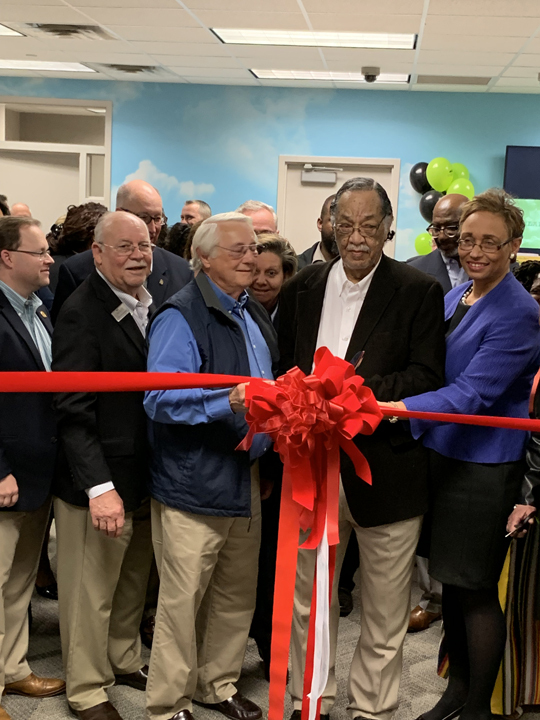 CBI has completed renovating over 70% of the first floor of Associated Credit Union’s main office which included a new wellness center for employees and a new mortgage department. 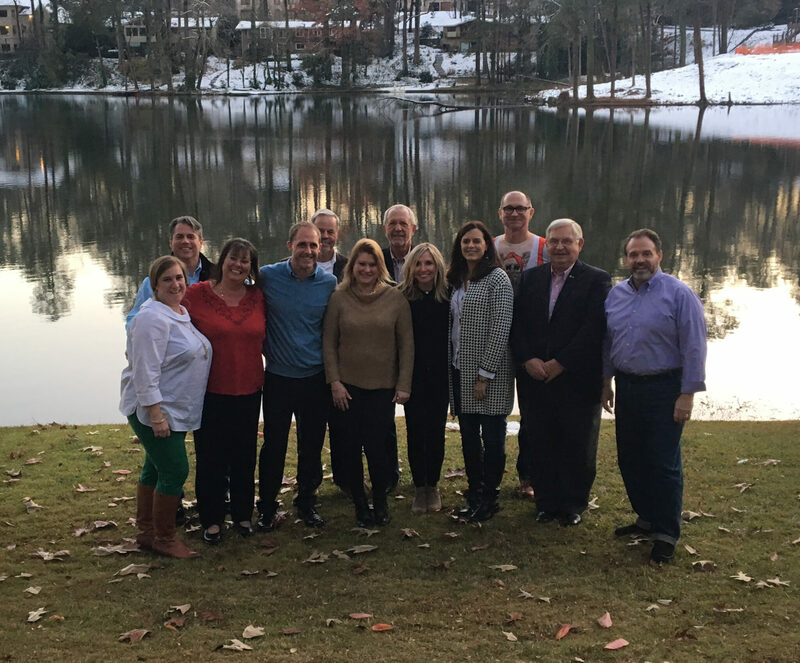 Warmest thoughts and best wishes for a wonderful holiday and a very Happy New Year from all of us at Consultants & Builders, Inc.! 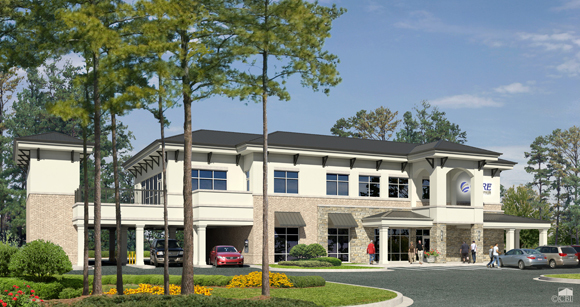 CBI is currently in the process of an interior renovation to our main office in Peachtree Corners, GA. The focus of the renovation is to create a new interior design department and library with a new and improved layout and open workspace for our design team, inspiring communication, collaboration and creativity among our designers. 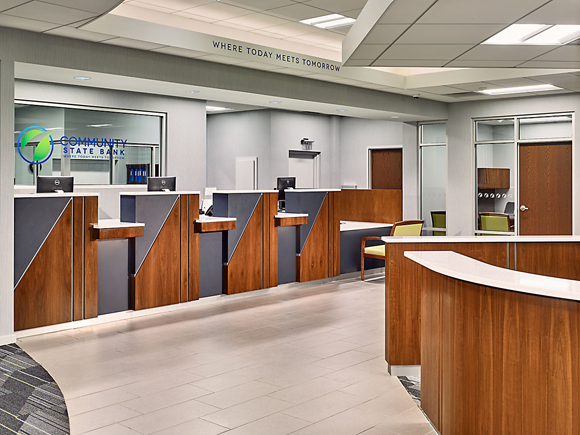 When complete, the interior’s department will act as a showroom for the exclusive furniture brands we represent, allowing our clients to visit and view samples of desks, chairs and workstations that we specify and order. In addition, the renovation will bring more natural light into the office. New carpet tile, LVT, paint, millwork and LED lighting will be installed throughout the entire office space. 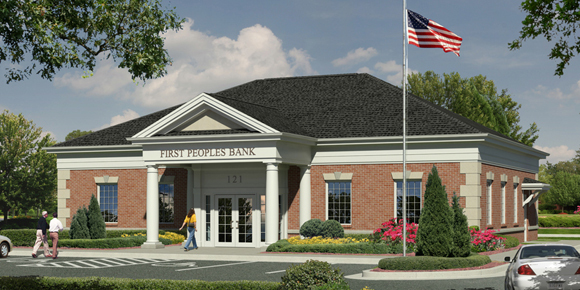 CBI is in the design stage of the main office renovation project for Community State Bank. 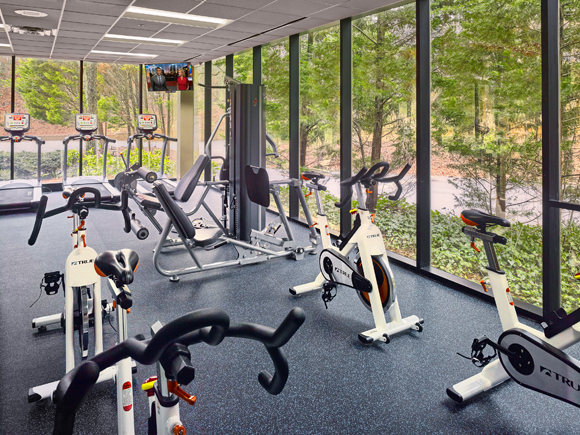 Plans include a complete interior and exterior renovation on both floors. 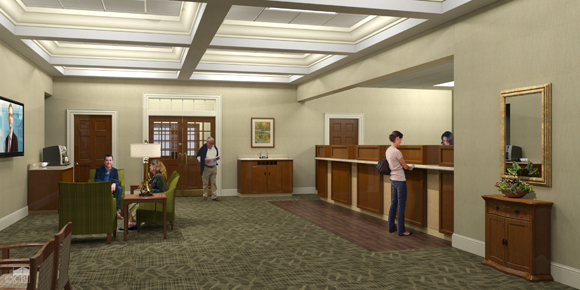 The retail branch will be updated with lighting, furniture, millwork and technology. 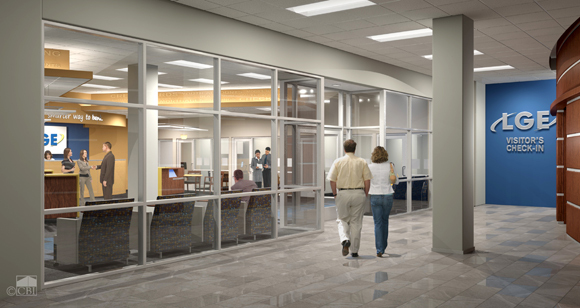 We will replace and add windows throughout the space including in the lobby and community room. 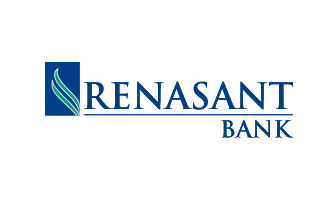 A new awning-band, using the bank’s logo colors, will be constructed to enhance the bank’s brand image and to also provide protection from the weather to the bank’s customers. To further incorporate the brand, all of the original brick will be painted to match the new color scheme. A patio will be constructed over the drive-up canopy to enjoy the Florida weather. August of 2016 marks our 30th year in business! We are proud of this milestone and owe much of our success and longevity to our clients, partners and dedicated team of professionals, each of whom helps CBI to continue to grow and prosper. 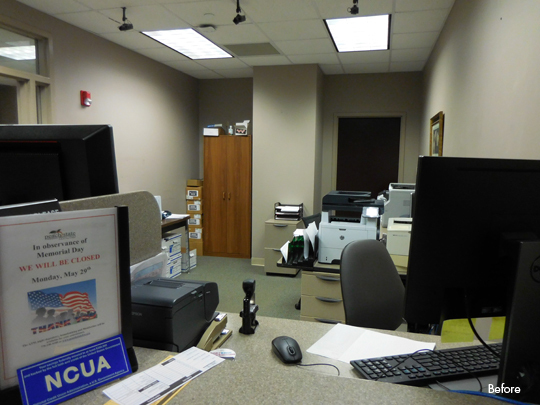 Associated Credit Union recently chose CBI to renovate the first floor of the credit union’s main office in Norcross, GA. 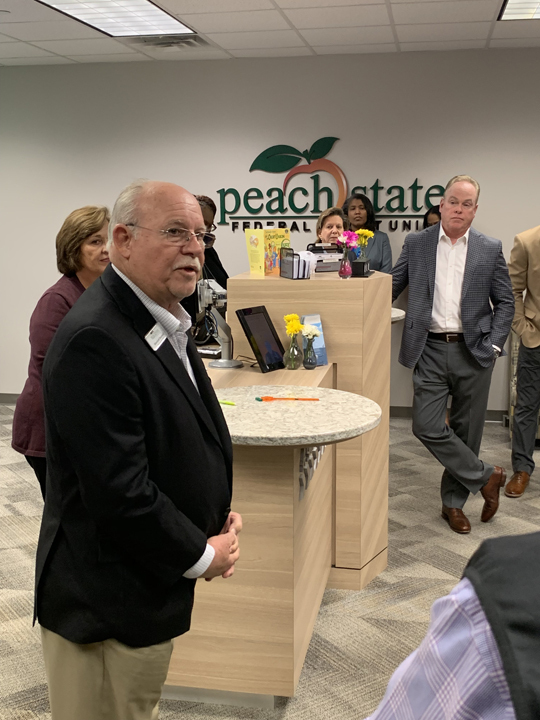 The 7,450 sf renovation project will include the addition of a 1,000 sf records vault, a new mortgage department which will house over 20 employees, a full gym including showers and lockers, a new break room and a shipping and receiving area. 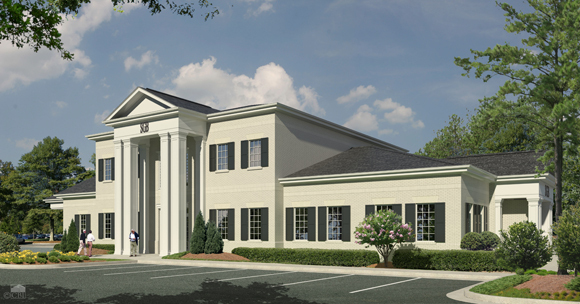 CBI was recently chosen to renovate a 2-story, 8,000 SF main office for The Farmers Bank in Greensboro, GA. 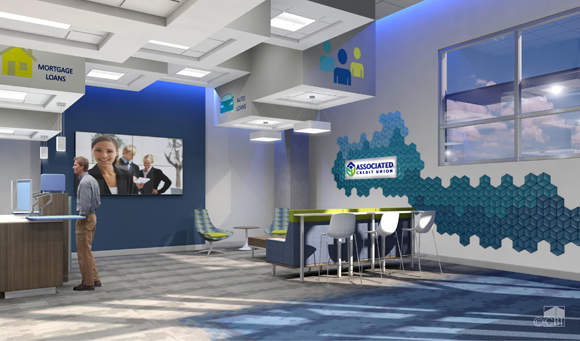 Interior features will include implementing a new teller line, replacing interior finishes and furniture throughout and adding centrally located flat panel TVs to provide local news and entertainment for customers. 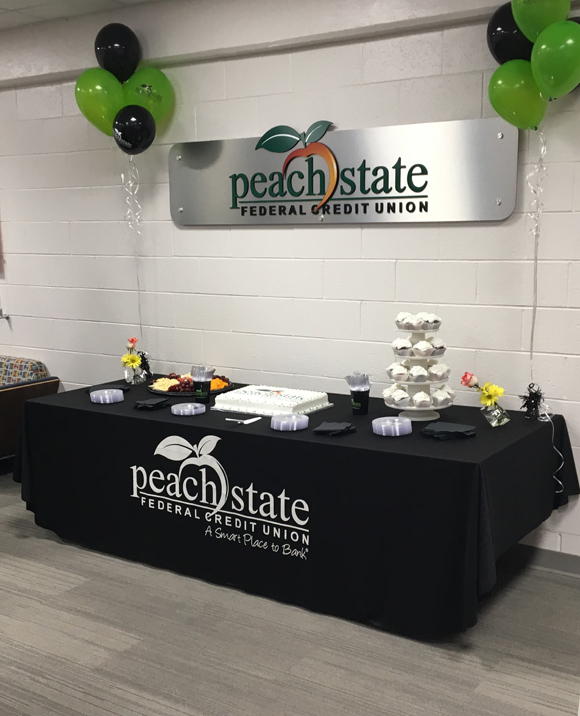 In addition, a coffee bar will be included in the lobby for customer convenience and a board room / training room will be located on the second floor for employee functions. 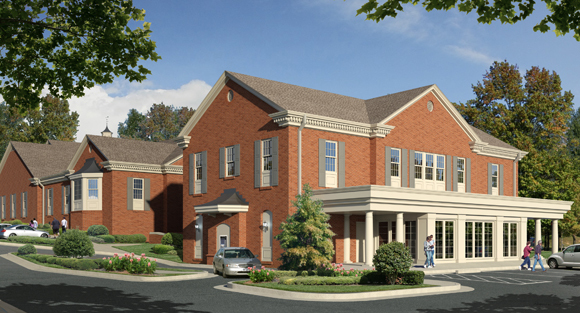 Construction is slated to begin in August. 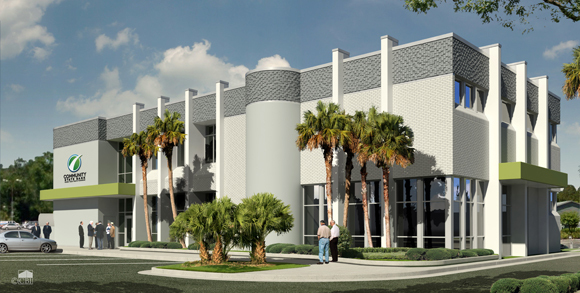 CBI is excited to continue our partnership with Chicken Salad Chick and we look forward to working with Adam Reeves and his team on the build-out of their second location in Lake Nona, FL this coming spring. They opened their first location at the Plaza on University on September 2nd and are also planning a 3rd location in Winter Park. The Plaza on University location currently employs 30 UCF students and graduates that help give the store a very local feel. 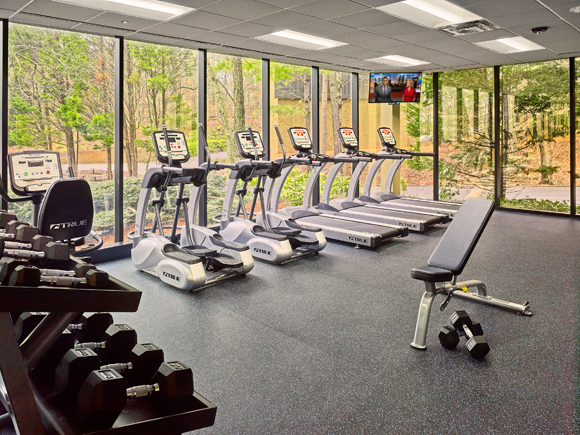 Located directly across the street from campus, CSC is a great choice for a quick and healthy meal. 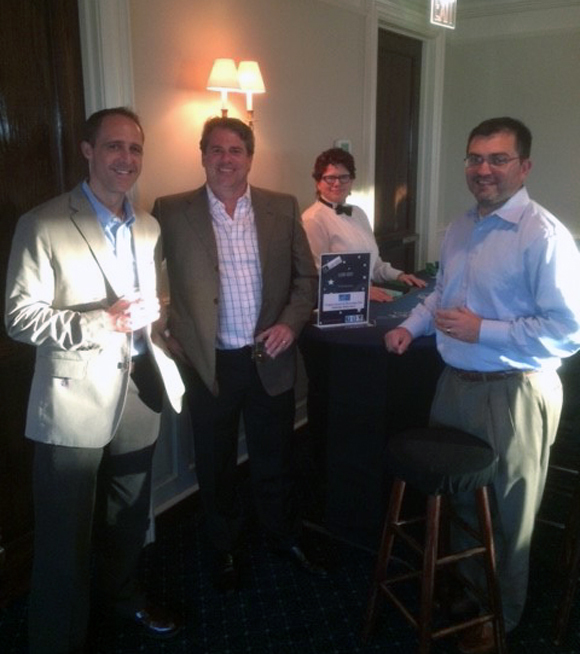 CBI recently supported the LGE Community Outreach Foundation by serving as the title sponsor for Casino Night. 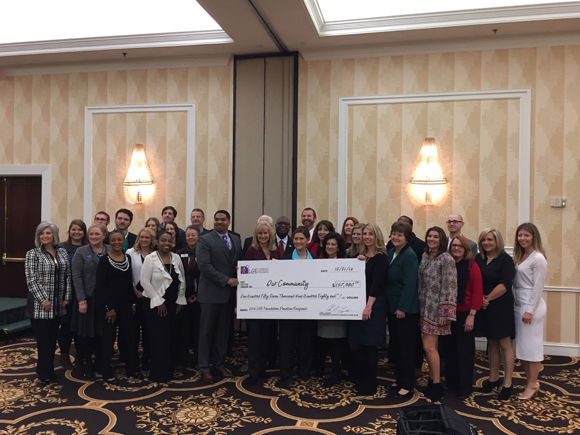 Annually, the LGE Community Outreach Foundation organizes and conducts fundraisers to raise money to contribute to local non-profit organizations. 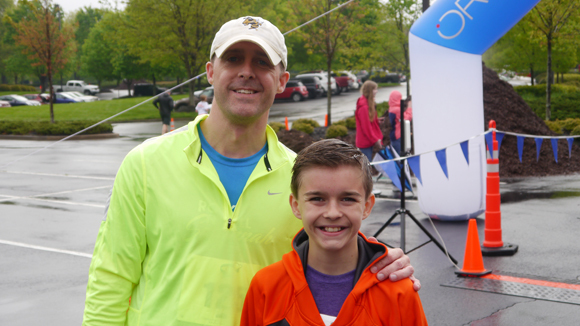 CBI is proud to be part of the Foundation’s efforts to give back to the community. To learn more about the wonderful organizations to whom the proceeds of this years fundraising will be donated, please visit their websites. Links can be found on the Charities page. 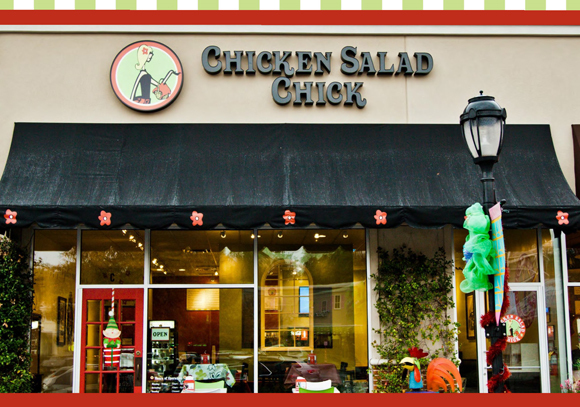 Consultants and Builders, Inc. was recently selected to build out several restaurant locations for Chicken Salad Chick in Orlando, FL. The first 2,200 SF restaurant, set to open this summer, will be located in the Plaza at University at 12101 University Blvd, Suite 201, Orlando, FL 32817. Chicken Salad Chick, one of NRN’s 2015 Breakout Brands, puts an edgy twist on a southern classic, offering guests a “custom-fit” chicken salad experience with 15 original flavors to choose from, as well as gourmet soups, flavorful side salads and freshly-baked desserts. 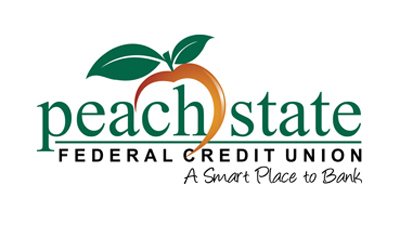 They were recently named as the top chicken salad in the country to try in the March/April issue of Cooking with Paula Deen, as well as one of QSR’s “Ones to Watch”. 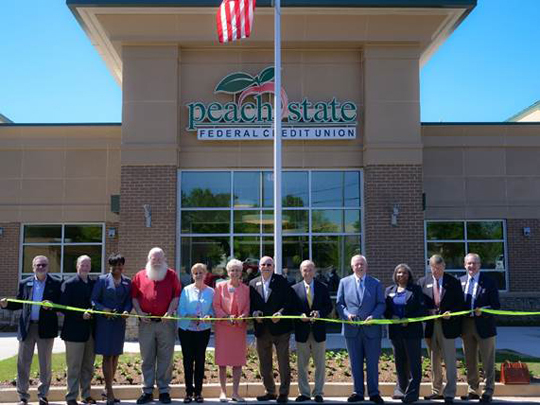 The Auburn, Alabama-based chain has 30 locations in the Southeast. 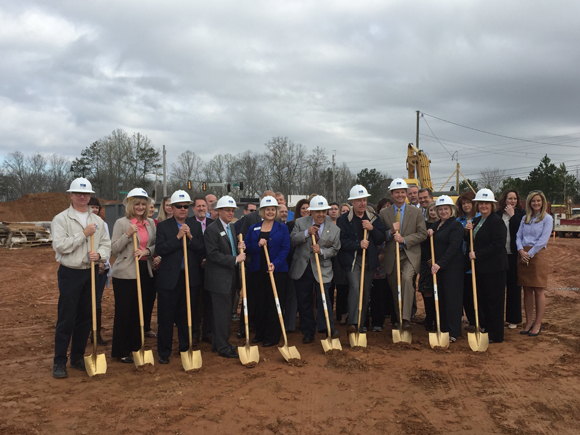 On Wednesday, March 25th, LGE Community Credit Union broke ground for its new branch which will be located in Canton, GA. 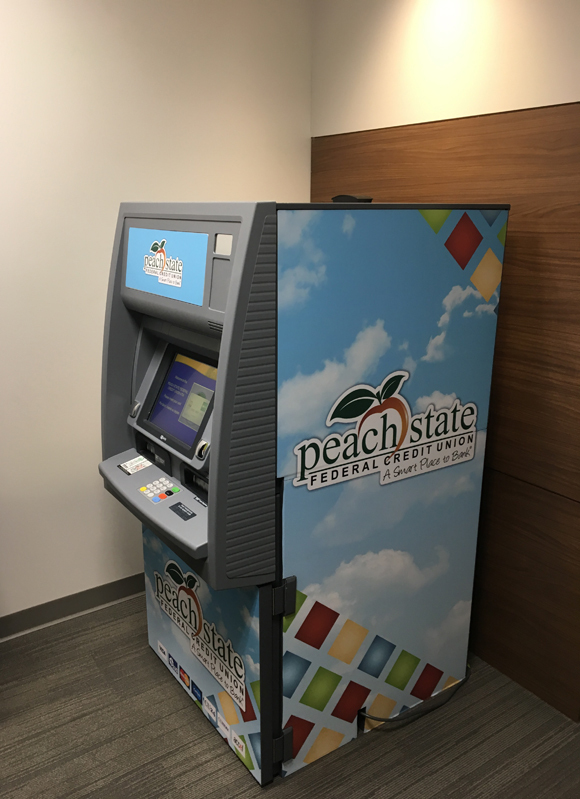 The 4,000 SF branch will feature advanced function ATMs for all transactions along with engagement stations nearby for meeting with members to discuss their financial needs. 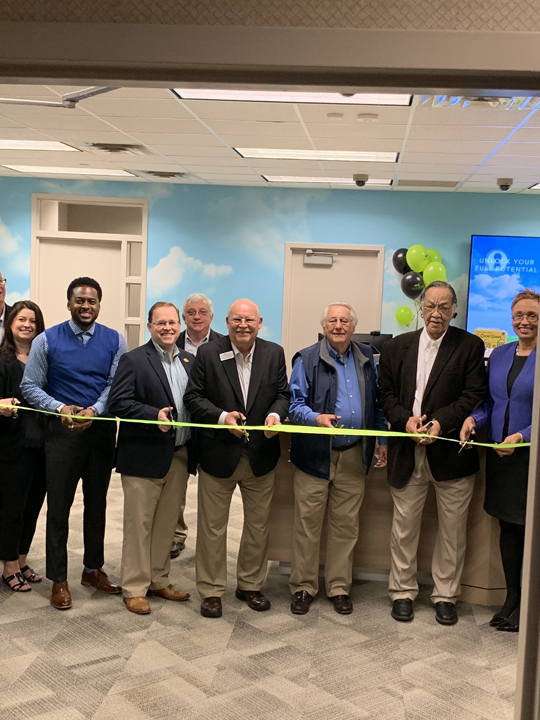 In addition to conventional financial transactions, the Canton branch will offer Insurance, Investments, Real Estate/Mortgage Lending and Traditional Lending, including auto and personal loans. 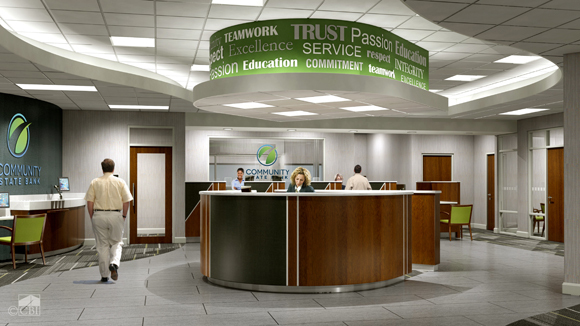 The facility will feature the branded look and feel of LGE Community Credit Union facilities. 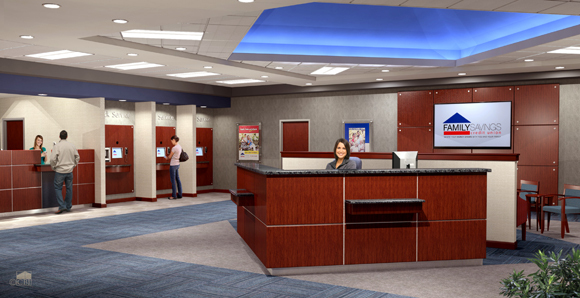 Personal bankers will greet members and guests as they enter the facility in the defined engagement zone. 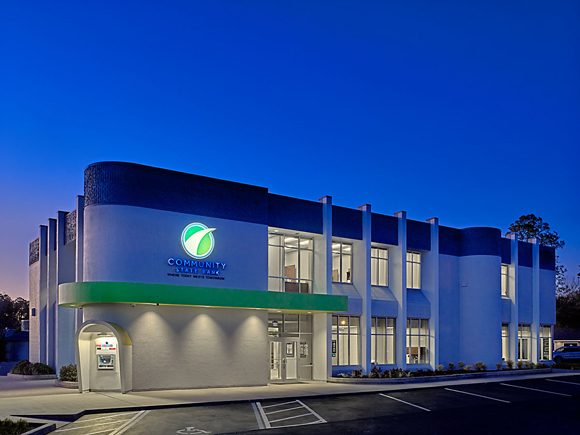 CBI designed and is building the new branch which is slated to open in October of 2015. 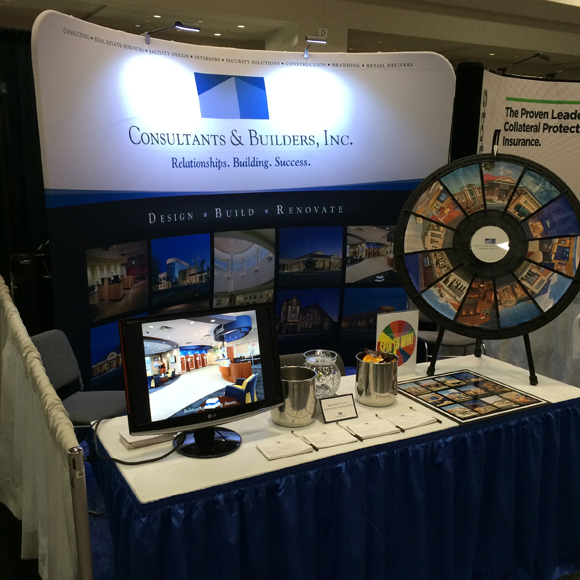 Tyler & Norman from our CBI team are exhibiting at CUNA GAC this week! 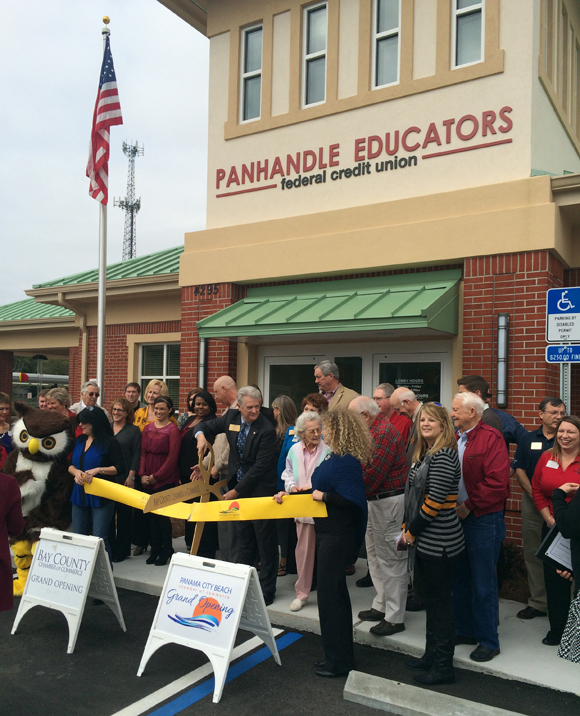 One hundred million credit union memberships is a significant milestone. 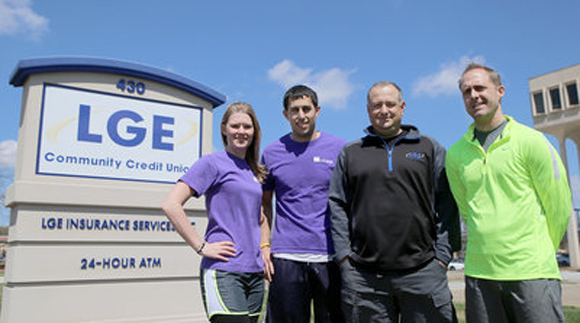 It’s proof that Americans value the credit union difference and it reinforces that Americans want financial service alternatives that offer real choices and put them first. It’s time to celebrate and time to leverage the opportunity. Let’s do both this year. CBI recently became a supporting member of Southface. 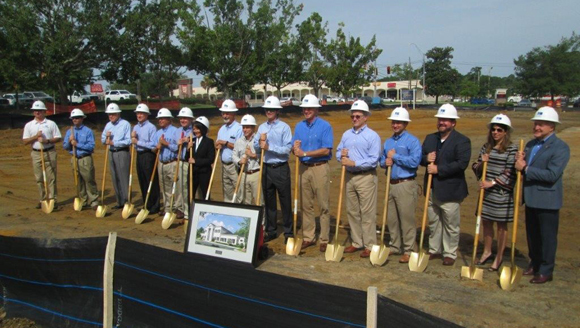 Since 1978, Southface has been committed to promoting sustainable homes, workplaces and communities through education, research, advocacy and technical assistance. CBI is also committed to the implementation of sustainable design and can provide a wide range of green design and construction services. 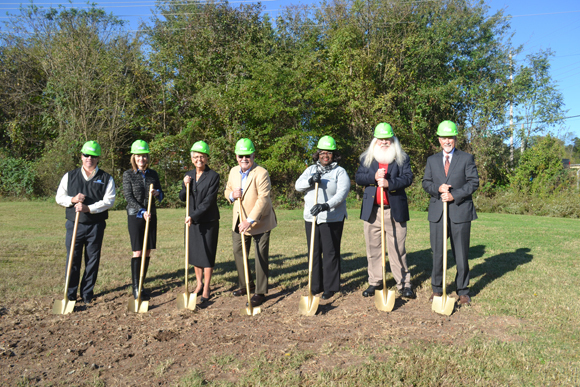 By supporting Southface, we are able to help continue to advance sustainable development throughout the Southeast. Please contact us today if we can provide you with sustainable design services. 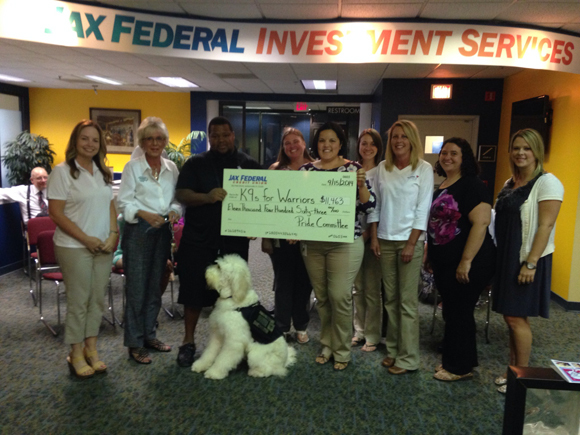 CBI recently supported Jax Federal Credit Union in Jacksonville, FL by making a donation to K9s for Warriors to help the credit union reach their fundraising goal. K9s for Warriors is dedicated to providing service canines to warriors suffering from post-traumatic stress and/or traumatic brain injury as a result of military service post 9/11. Their goal is to give a new leash on life to rescue dogs and military heroes, empowering warriors to return to civilian life with dignity and independence. 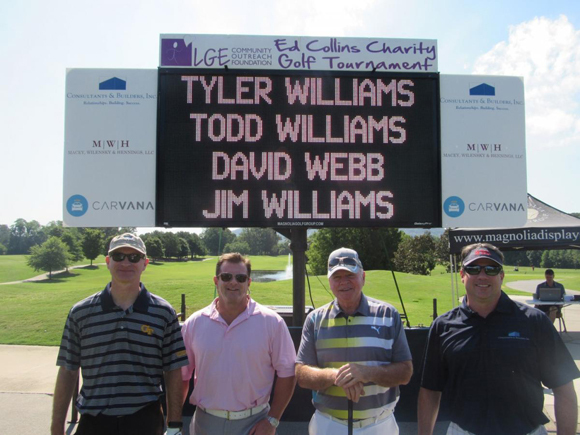 Several CBI team members recently supported the LGE Community Outreach Foundation by playing in the 5th Annual Ed Collins Charity Golf Tournament at the Marietta Country Club. 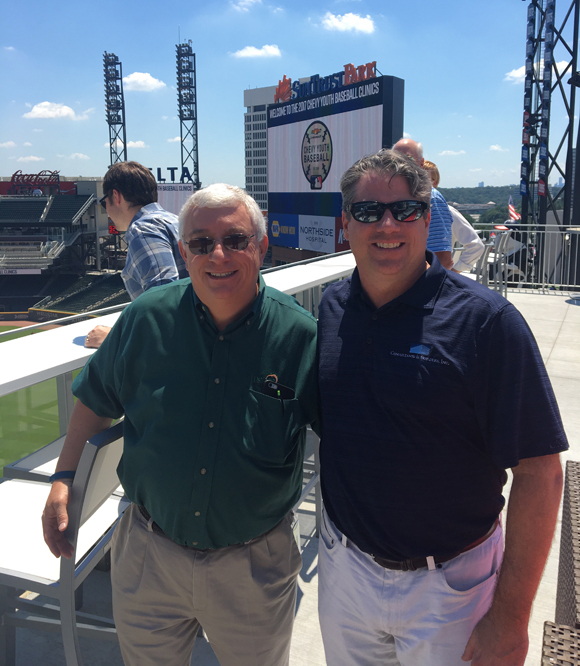 CBI was the title sponsor for the event which benefited several local non-profit organizations including Calvary Children’s Home, MUST Ministries, Next Step Ministries, North Fulton Community Charities, SafePath Children’s Advocacy Center, and Warehouse of Hope. Congratulations to Tyler Williams’ team for winning first place in the tournament! 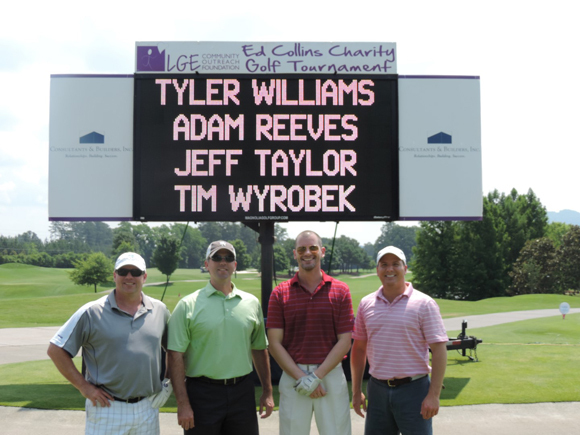 Everyone enjoyed a fun-filled day of playing golf while raising funds for worthwhile organizations. 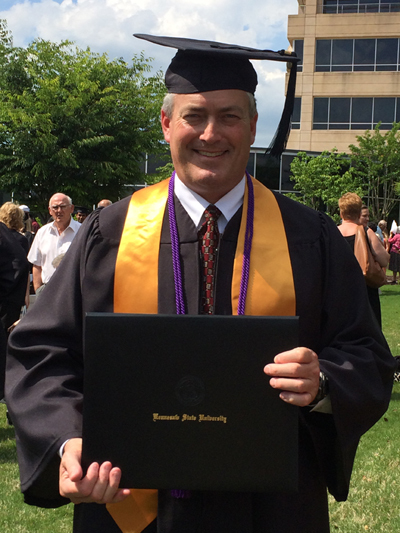 Congratulations to our Project Manager, Steve Wysocki, who recently graduated from Kennesaw State University with a Bachelor of Business Administration degree in Accounting. 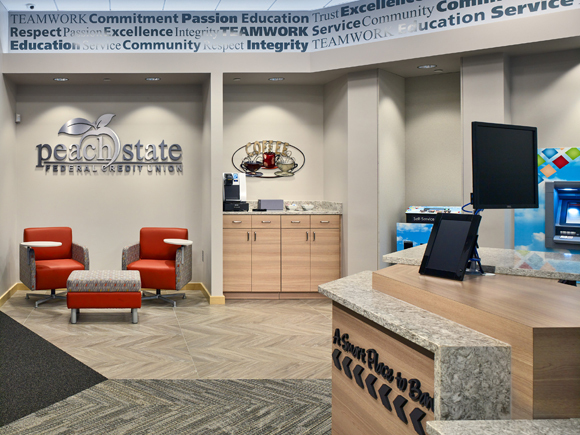 CCB Community Bank and CBI were recently featured in a special bulletin on Kiosk & Display’s website. 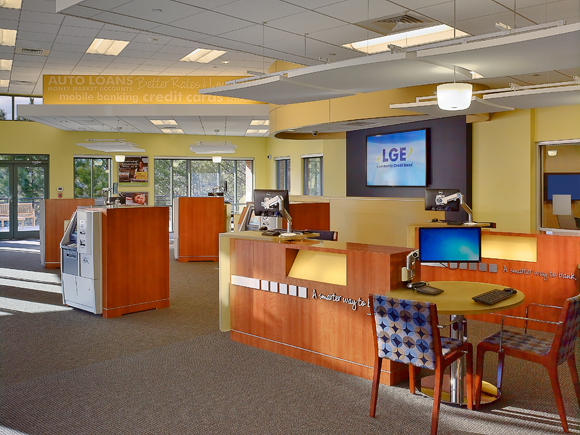 Gorgeous and engaging financial services retail environments don’t just happen. They’re well thought out, planned and executed flawlessly. Read the full version of the post here. CBI is pleased to announce that Steve Wysocki has joined the company as a Project Manager. Steve brings 8 years of experience to the CBI team and a broad portfolio of experience in managing financial, retail and hotel projects. 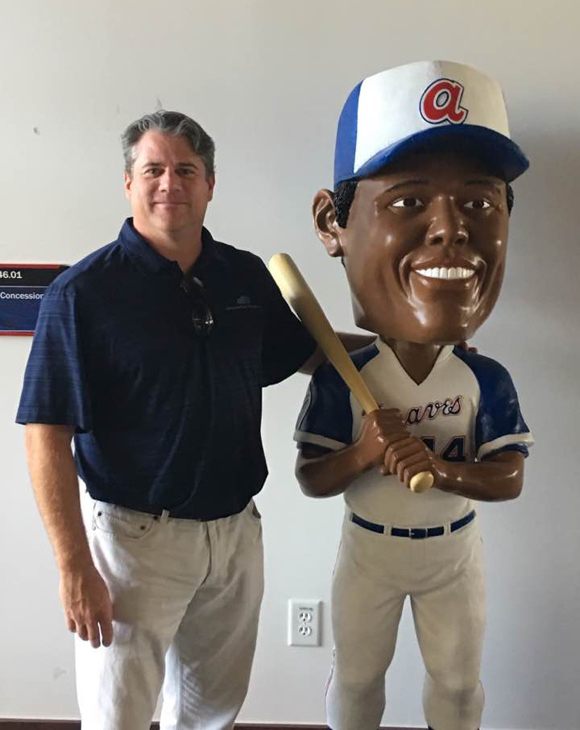 He has a Bachelor of Business Administration degree in Accounting from Kennesaw State University. In his spare time, Steve enjoys spending time with his children and fishing. 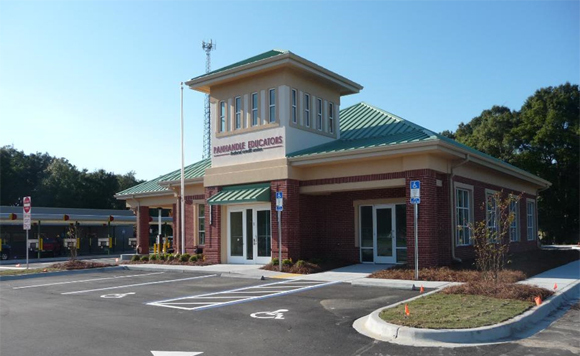 CBI is now incorporating FEMA safe room designs into multiple projects. These above ground rooms are designed under FEMA guidelines to provide “near-absolute protection” in extreme weather events. 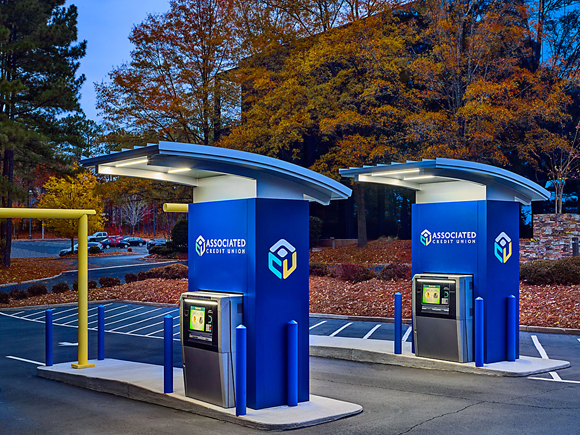 The addition of a place of shelter will ensure safety and protection for employees and the public during severe weather events including tornadoes and hurricanes. 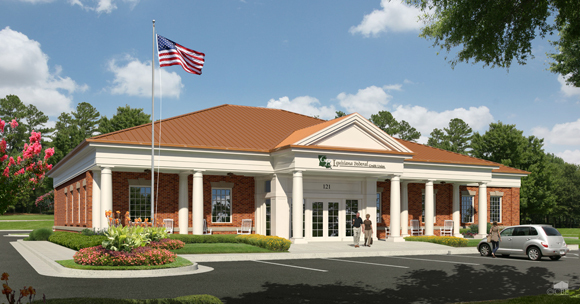 CBI is currently designing a new branch of the future concept for LGE Community Credit Union in Roswell, GA. 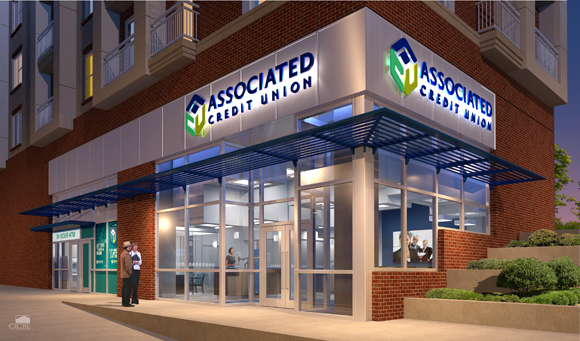 The 3,500 sf branch will have a tellerless environment using Diebold short stack ATMs to handle all transactions and is scheduled to be complete near the end of the 4th quarter of 2013. 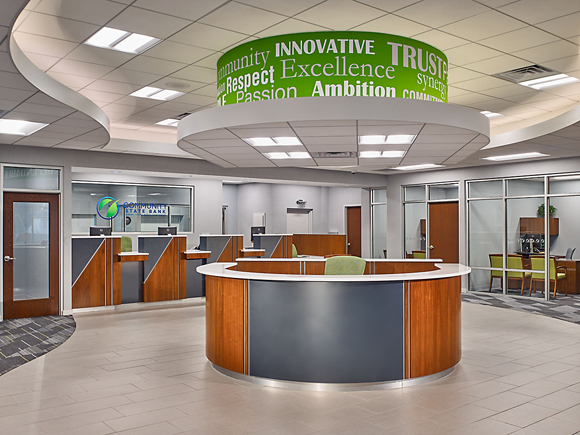 CBI designed and built a new 2,800 sf branch for First Peoples Bank located in Hamilton, GA. 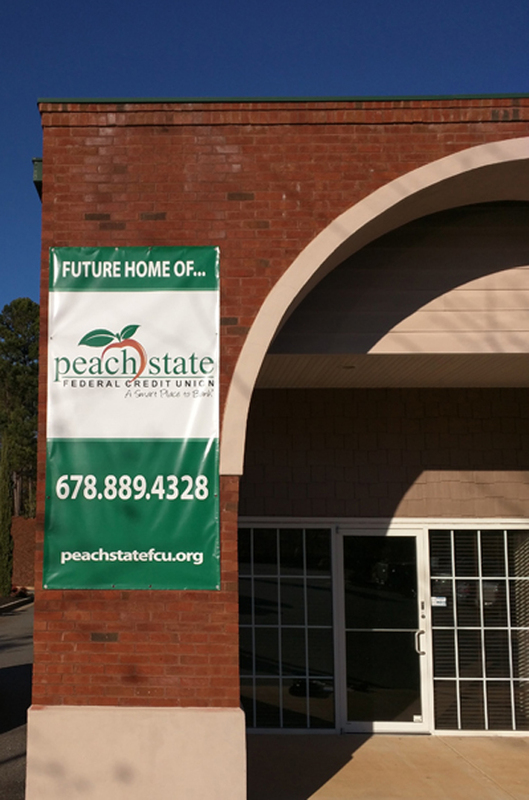 The branch is scheduled to open the doors of its new facility next month. 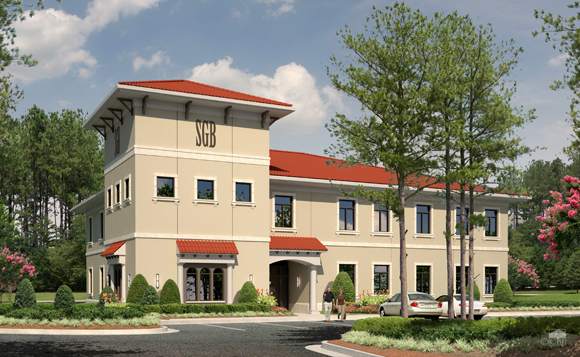 CBI was selected as the design-build firm for a new 11,000 SF commercial banking center for Southwest Georgia Bank in Valdosta, GA. 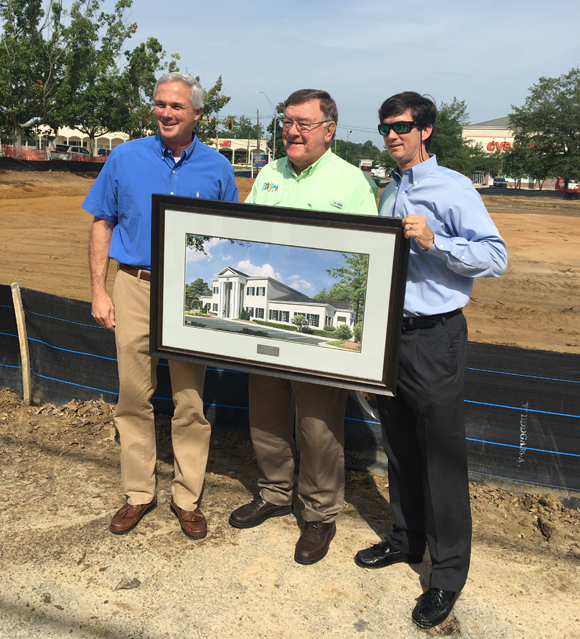 The 2 story, stucco building will feature a tower element and a barreled tile roof that will mimic the Spanish mission style of Valdosta State University. 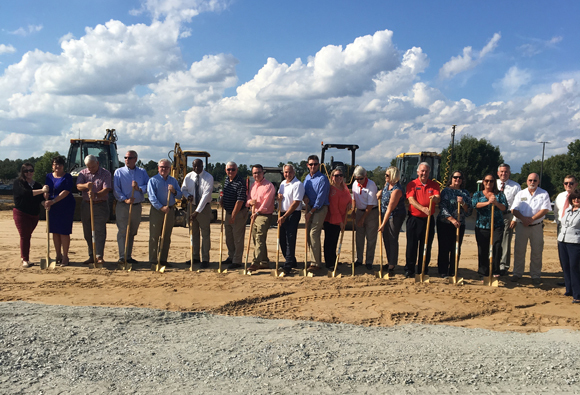 The facility will have a 60 person community & training room with A/V equipment and a full kitchen for entertaining. The project is currently in the design phase and is scheduled to break ground next quarter. 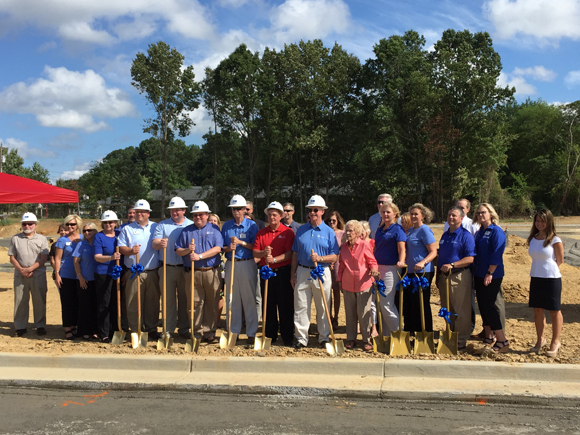 Palmetto Citizens FCU has broken ground for a new branch located in Columbia, SC. 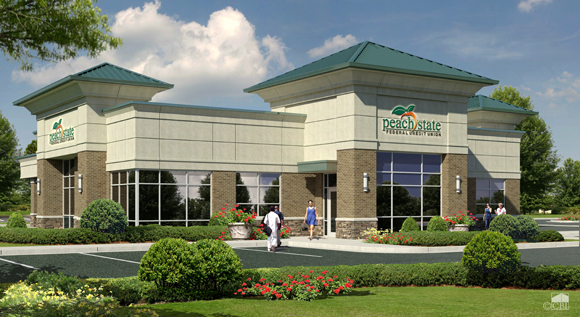 The credit union is scheduled to open the doors of its new 10,000 SF facility in the first quarter of 2014. 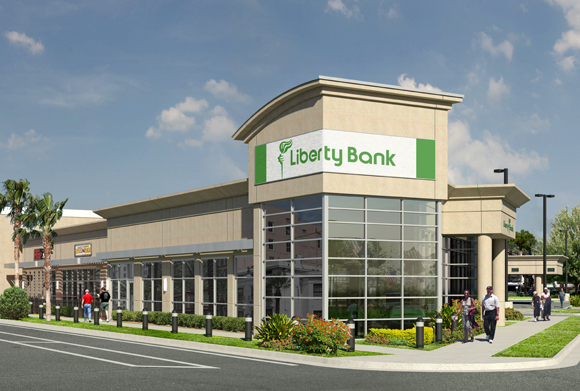 The new 2 story building will feature a separate drive up with 2 drive up tellers, 4 lanes, and a remote drive up ATM. CBI designed and is also building this facility. 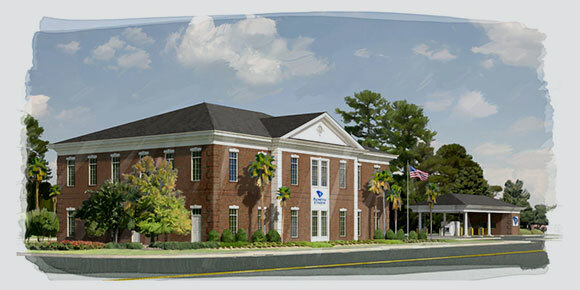 This will be the 10th project CBI has designed & built for Palmetto Citizens FCU over the past 20 years. At StellarOne Bank, the future is now. 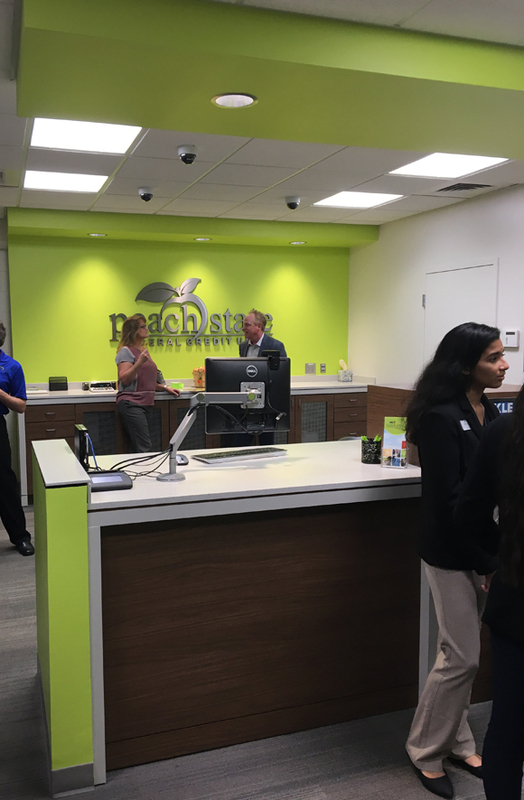 The Charlottesville, Va.-based bank with about $3 billion in assets recently embarked on a plan to modernize its branches by pursuing efficiency, convenience and sleekness. Joe Jordan, director of e-channels and payments products at StellarOne, says that about a year ago, the bank formed a “branch of the future committee” to discuss ways it can be better equipped to cater to the changing dynamics of the bank-customer relationship.